ARE YOU READING BOOKS THAT ARE APPROPRIATE FOR YOUR LEVEL OF RUSSIAN? To improve your Russian, you need to make sure that you are reading books that suit your current level of language proficiency and have been specifically designed for learners. Finishing a novel in Russian will give you a real sense of achievement, and will motivate you to pick up the next book. The more you read, the more your language proficiency increases, the more confident you feel and the more motivated you become! Russian Graded Readers are books specially written for Russian language learners just like you. These readers help you to read systematically, by introducing you to simple vocabulary before you move on to more complex language. You´ll progress through the different levels until at an advanced level you will eventually be able to read any book in Russian. Graded readers are bridges that bring you gradually from reading easy books for children, to enjoying authentic Russian books! Comprehension questions at the end of each chapter. 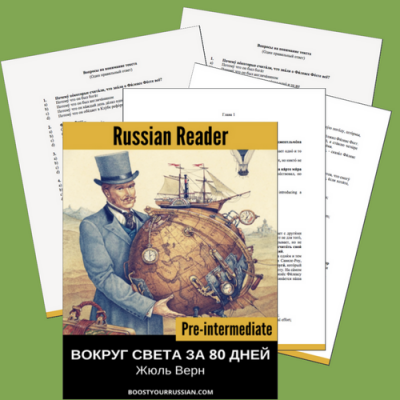 SELECT THE GRADED READER FOR YOUR CURRENT LEVEL OF RUSSIAN AND GRADUALLY BUILD YOUR WAY UP TO AUTHENTIC BOOKS IN RUSSIAN! NOT SURE IF GRADED READERS ARE FOR YOU? TRY THIS ONE FOR FREE! WHY ARE GRADED READERS A FANTASTIC LANGUAGE LEARNING TOOL? – They make literature accessible and enjoyable. You feel frustrated when reading authentic texts – sometimes they are just too difficult. 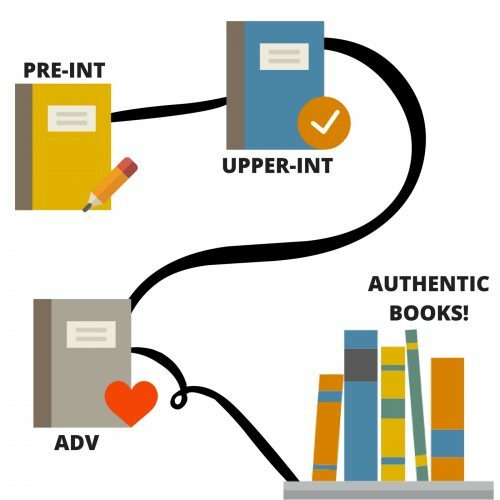 With Graded Readers, you can choose the right level for you! – Graded readers are amazing for vocabulary acquisition. They show vocabulary in clear contexts which allows you to read extensively. – They improve proficiency, general knowledge, enjoyment and reading skills. This boosts confidence! – Reading becomes faster and more fluent. When we read in our own language, we read in chunks. Graded readers simplify and recycle language, which makes it easier for you to understand the text. How do I buy a reader? Click on the cover of the reader you want to buy, and you´ll be redirected to the Amazon page where you can proceed with the payment. WhIch format will I receive the reader in? Since all readers are sold through Amazon, you´ll receive them in a Kindle format and will be able to access them in you Kindle reader. You can also buy some of them in paperback through Amazon. I bought the reader on Amazon. Will I get a PDF too? Sorry, the PDF version is not currently available. I have read them all and loved them! Are there more readers available? I´m so happy to hear that! As soon as a new reader is available, I publish it on this page! So check it from time to time to see if there has been an update. Boost Your Russian is a participant in the Amazon Services LLC Associates Program, an affiliate advertising program designed to provide a means for sites to earn advertising fees by advertising and linking to Amazon.com.